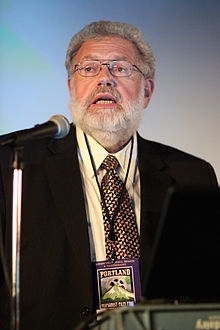 Thomas W. "Tom" Flynn (born 1955 in Erie, PA) is an American author, journalist, novelist, Executive Director of the Council for Secular Humanism, and editor of its journal, Free Inquiry magazine.He is also director of the Robert Green Ingersoll Birthplace Museum and the Freethought Trail. Much of Flynn's work addresses church-state issues, including his 1993 book The Trouble With Christmas, in connection with which he has made hundreds of radio and TV appearances in his role as the curmudgeonly “anti-Claus,” calling attention to what he views as unfair treatment of the nonreligious during the year-end holiday season. He edited The New Encyclopedia of Unbelief, a comprehensive reference work on the history, beliefs, and thinking of men and women who live without religion. He contributed a new Introduction to A History of the Warfare of Science with Theology in Christendom, byAndrew Dickson White and blogged on The Washington Post's On Faith site during 2010 and 2011. He blogs regularly on the Center for Inquiry's blog Free Thinking. He is also the author of several anti-religious black comedy science fiction novels.